The Abraham and Marian Sofaer collection consists of 4,000 coins and related objects produced by the peoples who inhabited the Holy Land from the Persian period in the 5th and 4th centuries BCE through the Crusader Kingdom in the 13th century of the modern era. Assembled over more than 30 years, the collection contains gold, silver and bronze coins of the Persians, Greeks, Samarians, Jews, Nabataeans, Romans, Byzantines, Arabs, and Crusaders. 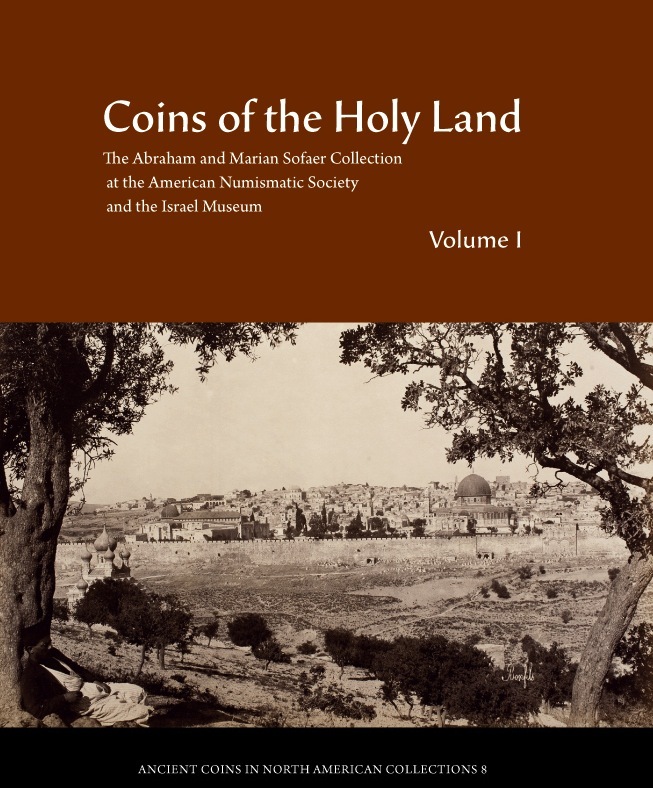 Highlights of the collection include a rich selection of the fractional silver coinage of Samaria; a comprehensive assemblage of the coins of the Hasmonaean and Herodian Jewish dynasties; superb examples of coinage issued during the Jewish revolts from Rome; fully representative runs of the coinages of the cities of Galilee, Samaria, Judaea, Idumaea, and the Decapolis under Roman rule; and rare examples of the Umayyad and Abassid coinages produced in Jerusalem and elsewhere. All coins are fully described and illustrated on 238 plates. These volumes will serve as standard reference works for archaeologists, historians and numismatists studying two millennia of the history of the Holy Land.